Burj AL-Luqluq Social Center Society organized, on Monday 06\02\2017, the Jerusalemite Neighborhood Football Tournament within Shababek Ya Quds project executed by Burj Al-Luqluq, supervised by the Welfare Association and funded by the Jerusalemite businessman Munir Al-Kalouti. The tournament started with the participation of 6 Jerusalemite neighborhoods and villages so as to confirm that the Jerusalemite neighborhood tournament has expanded to include different Jerusalemite towns like Beit Hanina, Al-Thouri, Shu’fat, Al-Suaneh, Wadi Al-Jouz and Al-Sheikh Jarrah. 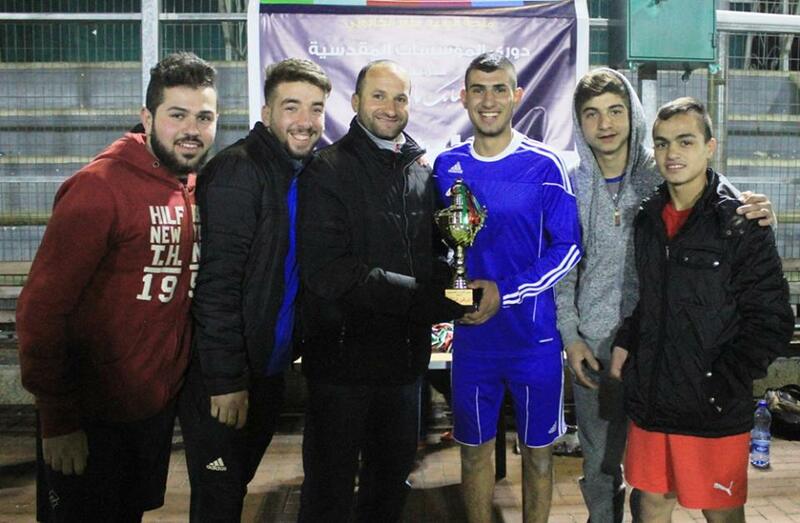 Moreover, around 80 young Jerusalemite youth and trainers participated in the tournament. At the end of the tournament, the winning teams received cups and medals while the other teams were honored. It is worth mentioning that Shabab Beit Hanina came first and Wadi Al-Jouz came second.